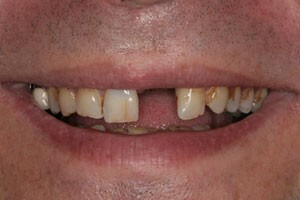 Jason was missing one of his incisors and was interested in replacing the missing tooth as he had stopped smiling. 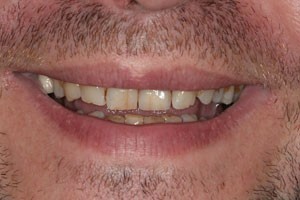 We placed a single dental implant and fitted a customised porcelain crown to replace the tooth. 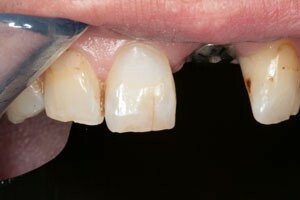 As you can see we can now replicate worn or even stained teeth to give natural beautiful results. 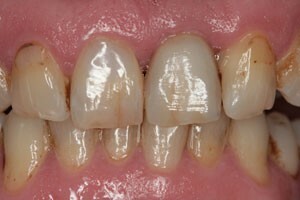 This case has been entered into a national dental competition for best ceramic work.